This work is not your monolith. Sikhi has a beautiful way of evoking even perspectives from those who embrace it. Below are three amazing artists who evoke their faith in their work. 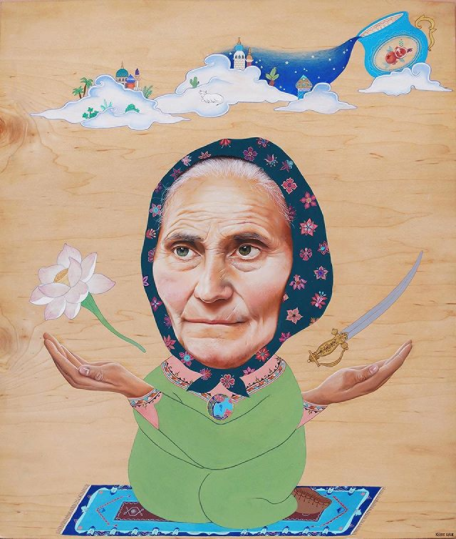 These artists don’t just carry a spirituality, they exude it. It is more than a part of them. They are exemplars of what it means to be Sikh in modern times. Their art tells stories of the diaspora and our histories. It has a way of touching anyone who engages with it. 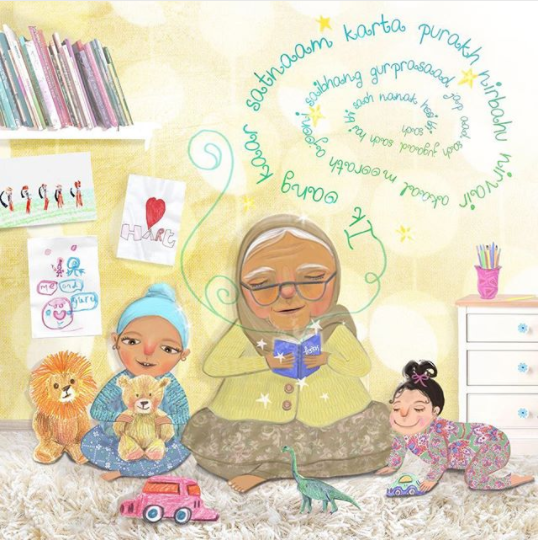 Kaur’s illustrations nestle me back into my childhood. I don’t have any grandparents left. In her art, I see them again. I see my parents in their coming old age. And possibly my children. I see sweetness frissoned in joy. Sunner hones in on heritage and culture through beautifully detailed figures and backdrops. 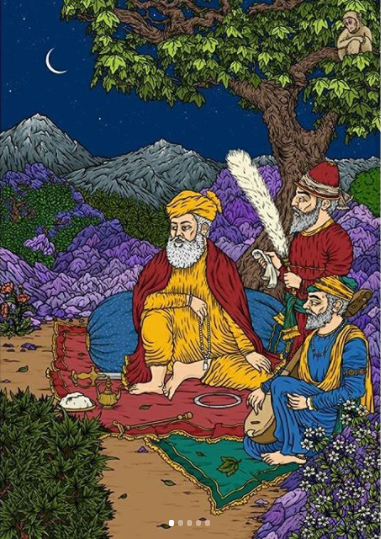 Leaves, greenery, and nature are common motifs and reminders of the significance of ecology in Sikhi. Green is also a symbol of wealth, luck, and intellect, none of which Sikh history is short of. Sunner has an alacrity for capturing precision and accuracy in his visual narratives and technique. 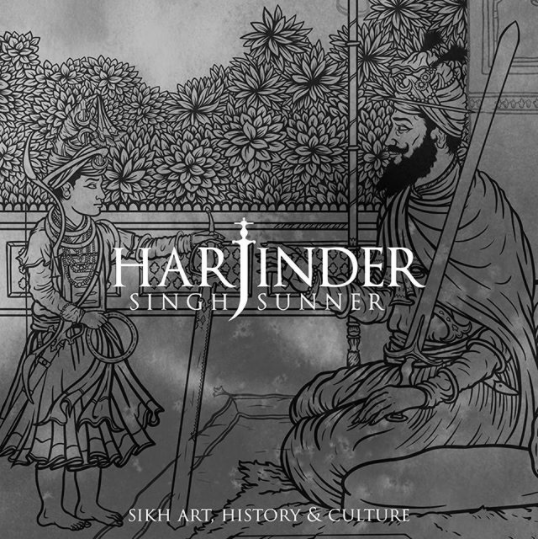 Harjinder Singh’s Sunner’s website is coming soon. In the meantime, follow him on Instagram. Kaur’s paintings look like photographs. But it is their painterly quality that roots them in our viscera. Here, there is a keen sense of emotionality in every face. 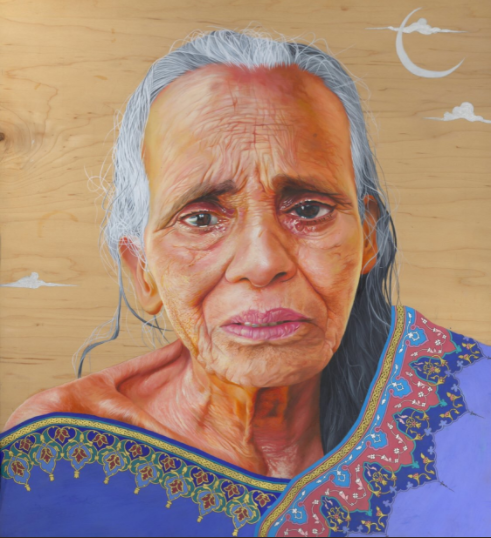 I can glean the life of the subjects and their relationship to Kaur, who stokes and honors their connected spirits in each mark and stroke. Kaur’s work is immaculately complete and substantial. Yet, I can sense the process here. On her Instagram, Kaur wrote that there was a lot of pain that went into this piece. Later, she updated the original work with gold tones.